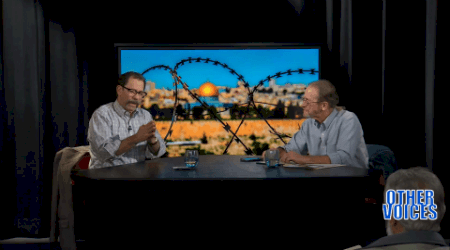 Joel Beinin is Donald J. McLachlan Professor of History and Professor of Middle East History at Stanford University. From 2006 to 2008 he served as Director of Middle East Studies and Professor of History at the American University in Cairo. At Stanford, he has been teaching a seminar called Palestine and the Arab-Israeli Conflict for 35 years. He is also active as a commentator on issues regarding Israel, Palestine, and the Arab–Israeli conflict. He has been a contributing editor to Middle East Report and has published articles in, among others, The Nation and Le Monde Diplomatique. This entry was posted in Current News, Events, Videos and tagged israel, palestine by PPJC Admin2. Bookmark the permalink.